Large vessel endothelial cells are found in arteries and veins and comprise the innermost layer of the vessel, forming a lining that separates the contents of the blood from the rest of the body. This endothelial lining controls the movement of molecules and cells to and from the bloodstream, which regulates a multitude of systemic processes, from immune system regulation to cancer cell metastasis. 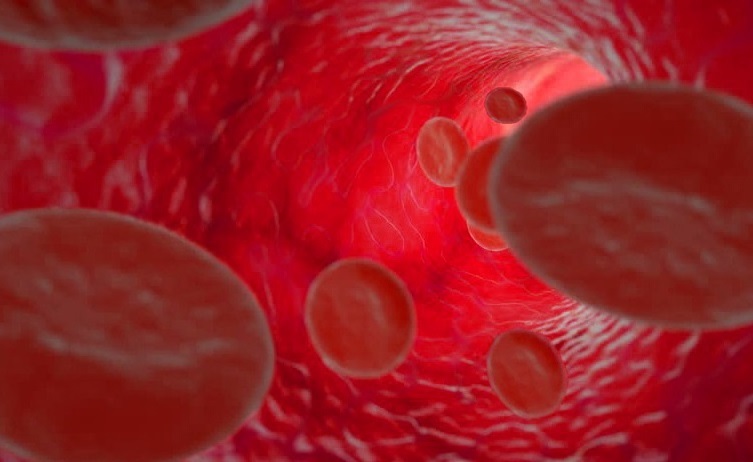 Endothelial cells are in constant contact with molecular components of the blood, responding to cues to regulate blood pressure and flow through release of vasodilators or vasoconstrictors, or by responding to vessel damage by dynamically regulating blood coagulation. The importance of the endothelium is illustrated by the detrimental consequences of endothelial cell dysfunction, which is implicated in a number of cardiovascular diseases, including atherosclerosis. Decorin is a small proteoglycan that regulates autophagy, the process by which cells recycle or degrade cellular components. Autophagy helps maintain homeostasis by turning over old or dysfunctional organelles, and is mediated by the autophagosome, which fuses with lysosomes for degradation of its contents. Decorin activates autophagy of endothelial cells through the vascular endothelial growth factor receptor (VEGFR) and induces expression of paternally expressed gene 2 (PEG3). To further define the molecular mechanism by which autophagy is activated downstream of decorin, Neill et al. investigated the link between PEG3 and transcription factor EB (TFEB), an mTORC1-regulated transcription factor that activates lysosomal gene transcription in response to autophagy induction. Using Lifeline® HUVECs, the authors first evaluated the kinetics of PEG3 and TFEB expression in response to decorin stimulation. They found that decorin-induced PEG3 expression occurred before that of TFEB, and decorin-induced TFEB expression was PEG3-dependent, suggesting PEG3 regulates TFEB expression. Since decorin stimulates autophagy through a VEGFR/AMP-activated kinase (AMPK) pathway, the authors next tested the requirement of these kinases for TFEB expression. Using inhibitors of either VEGFR or AMPK activity, the group demonstrated that decorin-induced TFEB expression and nuclear expression is dependent on this signaling axis. To confirm the role of TFEB in autophagosome formation, the authors silenced TFEB expression and found that induction of Beclin 1 and LC3-I expression, two genes essential for autophagy, was significantly impaired. Importantly, TFEB silencing also led to a failure of autophagosome formation. Finally, the authors illustrated that decorin-stimulated TFEB translocation to the nucleus was PEG3-dependent. Together, this study demonstrates that decorin induces autophagy through induction and translocation of TFEB to the nucleus in a manner that requires PEG3. In a second study from the same laboratory, Neill and colleagues investigated the role of endorepellin in autophagy. Endorepellin is a C-terminal fragment of the heparan sulfate proteoglycan perlecan, which is expressed in the extracellular matrix of vascular endothelial cells and plays a role in regulating angiogenesis. Although it is known that endorepellin inhibits PI3K/Akt/mTOR signaling and activates AMPK, as well as acting downstream of VEGFR2 to induce autophagy, the autophagic transcriptome activated in response to endorepellin is not well understood. Thus, the authors set out to define this by treating Lifeline® HUVECs with endorepellin for six hours and evaluating the autophagy-related transcriptome using NanoString. They identified an endorepellin signature, which included 23 differentially expressed genes. In particular, the authors observed upregulation of BECN1, and downregulation of BCL2, which are required for progression of autophagy. The signature also revealed that endorepellin induced PARK2 and TCHP expression, the genes for Parkin and mitostatin, respectively. Parkin and mitostatin are involved in mitochondrial homeostasis and also play role in mitophagy, the specific degradation of mitochondria though autophagy. Using Lifeline® HUVECs and an immortalized aortic endothelial cell line (Telo-HAEC), the authors demonstrated that endorepellin indeed induces protein expression of Parkin and mitostatin over the course of 6-12 hours in a VEGR2-dependent fashion. Given the role of Parkin in maintaining mitochondrial homeostasis, the authors evaluated whether endorepellin-induced Parkin expression could modulate mitochondrial membrane potential. They found that endorepellin treatment induced mitochondrial membrane depolarization (a stimulus for mitophagy) in Lifeline® HUVECs, and that this was accompanied by increased expression of PINK1 and mitofusin 2, which are key players activated in response to damaged mitochondria. Importantly, using kinase inhibitors and knockdown studies, the authors demonstrated that endorepellin-activated mitochondrial membrane depolarization was dependent on VEGFR2. Furthermore, using imaging and reciprocal co-immunoprecipitation approaches, the group illustrated that endorepellin stimulates mitostatin and Parkin association, and that this association depended on VEGFR2 kinase activity. In conclusion, this research group identified an endorepellin-induced autophagy gene signature that illustrates the regulation of mitochondrial dynamics by endorepellin in a VEGFR2-dependent manner. Want to learn more about Lifeline® products? Check out our catalog of endothelial cells and follow along here on the blog every other week to learn more about the other cell types we provide. If you have used Lifeline® cells or media in your research, let us know and your study could be featured here!